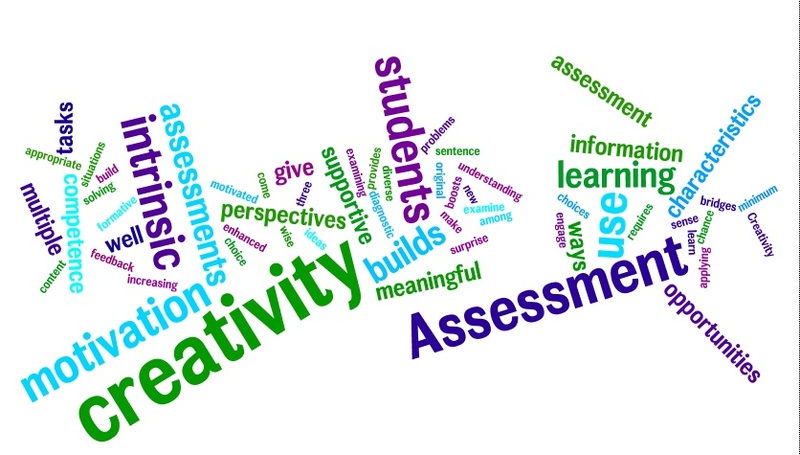 Assessment FOR Creativity: What Would It Look Like? Assessment is front and center in just about every educational venue today. Whatever we want to develop in schools, we need to think about how it relates to assessment. To me, one of the most important concepts in assessment is Stiggins’ differentiation of assessment OF learning and assessment FOR learning. Assessment OF learning, of course, is assessment mainly focused on evaluation, letting us know how much students have learned. Assessment FOR learning is primarily designed to help students learn, by giving students and teachers the information they need. I have said before that the distinction Stiggins made has caused me to contemplate a parallel relationship between assessment and creativity. Researchers have worked for years to develop assessments OF creativity—assessments that will help us recognize and evaluate creativity. But in schools, most assessments have other purposes. Since we must have assessments, let’s design them so they are supportive of students’ creativity, as well as their learning. Here, I’m not talking about the standardized tests that make headlines, but the everyday assessments that occur moment-to-moment in good classrooms. Assessment FOR creativity considers how we can assess the content we teach in ways that are supportive of creativity. Because of the ties between intrinsic motivation and creativity, it makes sense that assessment supportive of intrinsic motivation will be supportive of creativity as well. So, I believe there are at least three characteristics of assessment FOR creativity. Over the next few weeks I’ll think about these three characteristics and how they might play out in classrooms. Assessing creativity is, obviously, very difficult. Throughout my ‘teacher training’ I was told we can not assess creativity. It’s not measurable and therefore can not be evaluated on any rubric. So, in my classroom I have focused on big concepts and skills students need to know in order to complete the lesson/project. Since I haven’t been able to figure out how to assess creativity, I find that motivation is directly correlated with creativity and effort. The more I communicate, conference, and give suggestions/ideas on student work, the more students start formulating ideas. I have found that this is especially difficult with the first project. This is the moment where students realize the norms of the classroom, what type of teacher you are, how you grade, and what they can get away with. If the precedent is set where they realize they are challenged to ‘think’ then the process gets very difficult for them. Not in the way that it’s hard to ‘think’, but in the way that many classrooms do not challenge them to problem solve and go through a process. Sadly, there is a lot of surface learning still prevalent. So, the first project/lesson is vital. It’s new and it does take some brain power (which they hate). If students are made to go through this process they will need to have/see an end result that they are proud of. Basically, they have to feel that the effort that they put in paid off in the end for them in some way. This is nothing new as even I feel the same way in my own learning. But I do think this is where the teacher is an integral part. Communication is key. Relationships are key. So, it’s not that creativity is assessed in my classroom because again, I haven’t figured out a good way to do it, but creativity is happening. It’s growing and it’s something that can be observed. I guess, depending on the definition of creativity, this can be it. It really will depend on the definition of what one feels it is, I suppose. There is so much wisdom in your post! One of the things that I find powerful in the concept of assessment for creativity (as opposed to assessment of creativity) is that when we assess classroom content in ways that support creativity, (not surprisingly) creativity emerges–and the need to quantify it (for classroom purposes) becomes less critical. And yes, students who are accustomed to surface learning find this surprising and challenging, but ultimately really affirming. Would you consider sharing some of your project ideas as examples of assessment for creativity? It would make a great guest post–or posts. Excellent! Just write up whatever you’d like to say as a guest post and send it to me. You can include graphics or not. If you do, it is easier if they are separate files but I can work with them either way. The best address is astarko@emich.edu. I’ll look forward to it! Today, more than ever, educators are aware and therefore dissatisfied with the methods of teaching and assessment that we’ve used for decades. The challenge now is how to promote student’s self learning as well as encourage creativity in students. That’s what led me to take Adobe’s edex course on creativity for educators. One thing led to another. Now I’m sharing the nuggets on assessing creativity which I find worthwhile to anyone interested in promoting creativity in themselves and those within their influence, because as we all know, bosses will be best served if they know how to challenge their workers to be more creative instead of simply having workers who behave like robots completing a set of well defined tasks. Ciao! Un gran porcentaje de docentes, damos a los estudiantes al pie de la letra las instruccionesa seguir sobre un quehacer determinado y no brindamos la oportunidad para que ellos propongan de que otra manera se podria hacer lo mismo, es decir castramos su espontaneidad, pensamiento y creatividad, no permitimos la fluidez de opiniones, ideas y si no hacen las cosas como lo hemos indicado, entonces disminuimos su calificacion,quizá le regalamos, que error que cometemos. 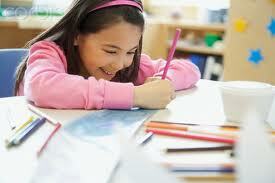 Assessing for creativity promotes acceptance of ALL learning styles and abilities. However, the rubric insures that assessment is not subjective. today students needs to develop their personal creativity. it is left for the teacher to use all information available formal and informal to discover and assess that creativity skill also help the student to build on it. I find this strategy assessment for creativity is very challenging in the 98% free and reduce lunch environment. But, now after grasping these learning tools, tip and tricks for educator in the field and the Adobe Exchange, I can move forward with a better sense of what is Assessment Creativity and what looks likes. Thanks you all for your support.